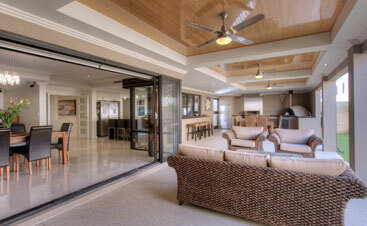 To most people, the way they design their deck is a reflection of the way they want their home to be seen. It’s a space that’s not only great for relaxing and enjoying, but it can be somewhat of a status symbol when guests enter the home. 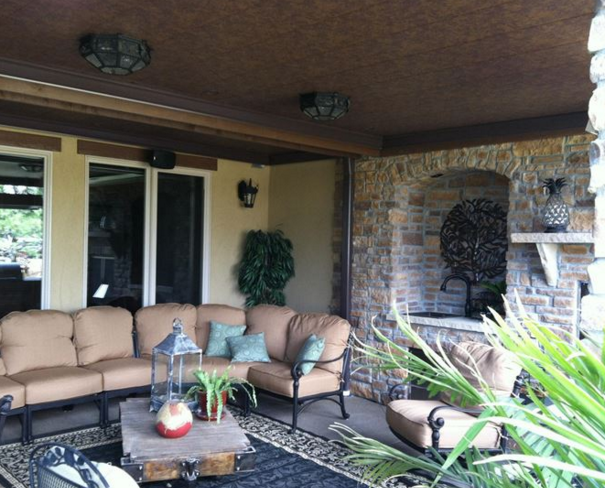 Homeowners will often rebuild a deck that the previous homeowner had built to create something more their style or at the very least, restyle it. Once spring rolls around, you’re probably starting to plan all the summer fun you will have out on your deck after spending a long winter indoors or outside shoveling snow. 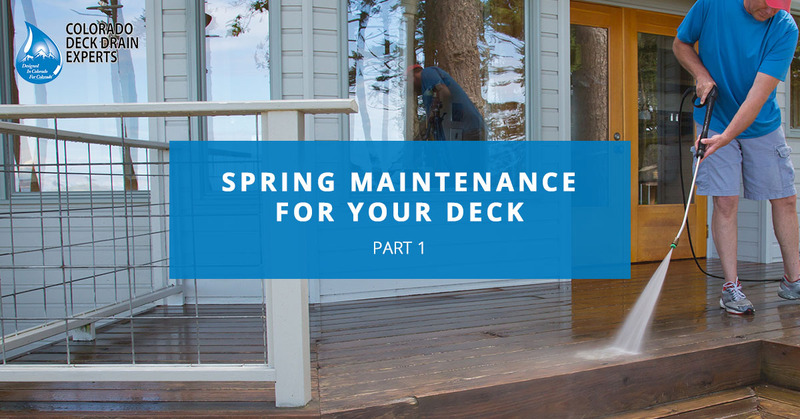 Keep reading to learn about some spring maintenance tips for your deck. Depending on the type of material your deck is made of, getting your deck ready for summer could be a quick task or a major endeavor. If your deck is wooden, this may involve applying a new coat of paint, replacing planks, or hiring a deck contractor to make more major repairs. However, if you have a composite deck, you won’t need to do much to prepare your deck for summer, and instead, you can spend more time enjoying the nice weather before it gets too hot. 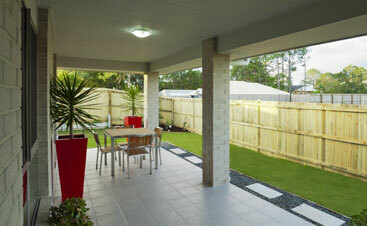 Railings are the most important safety feature of your deck, for both small children and adults. When you first go out onto your deck in the spring, check your railings to make sure they aren’t loose and that no posts are missing. If you have railing covers, make sure they are still secured and haven’t fallen off. If you have a gate leading to the bottom area of your deck, you’ll want to check the hinges and locks to make sure they haven’t broken or become rusted. If you have a small child or pet, they could fall down the stairs if the gate isn’t secured properly. One of the most important things to check on your deck is the actual decking itself. Anything can happen through a long winter so you should check for splinters or anything off about it like exposed nails or screws. These issues should be fixed immediately so that nobody steps on them. And just because you don’t have wooden decking material doesn’t mean you shouldn’t check it. Although there won’t be any splinters, a nail or screw could come loose and injure someone. Lighting is another really important part of your deck safety. And chances are, your lights won’t be working after a long winter. You should make it a priority to replace your lights before you start using your deck. The amount of lights you need will depend on its layout and how big it is. However, it’s always a good idea to have one light right outside the door that leads into the house, lights along the railings, and most importantly, stair lights. Stair lights are a must because it’s a lot easier than you may think to trip on stairs at night or fall down them. There are a lot of other things that could be potential hazards on your deck but it will depend on what kinds of things you like to keep on your deck. If you have a fire pit, make sure it’s covered and cleaned. You should check umbrellas, pergolas, and other sun and rain cover to make sure it’s in good condition and won’t fall over due to the wind. Even if something is a small threat to you, you should consider fixing it because to a small kid or pet, it could be more serious. It might be a good idea to invite a friend over to inspect the deck and see if they can find any safety issues. It’s easy to miss things if you only get one pair of eyes on it. 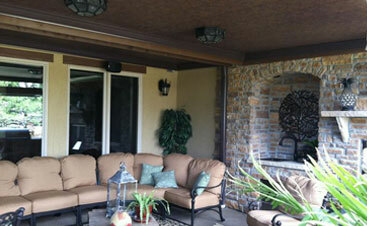 Another thing you should consider doing this spring is installing a deck drain system on your upper deck system. 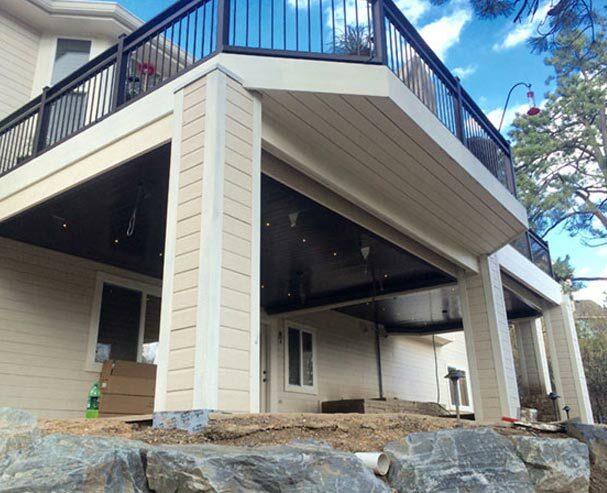 The main reason for installing a proper drainage system is to keep your lower deck area dry all times, allowing you to enjoy it all times of year. 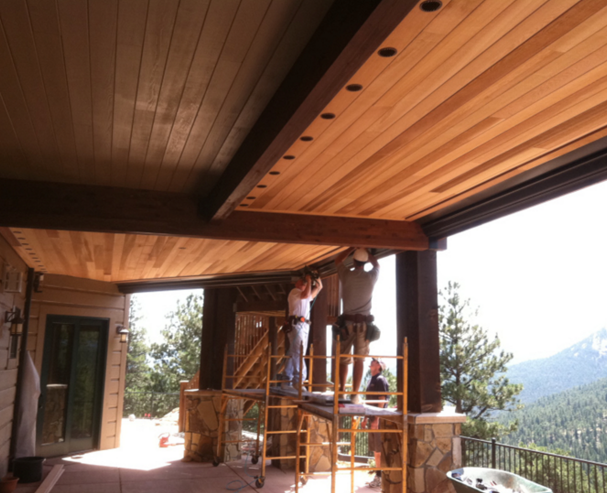 Contact Colorado Deck Drain Experts today for more information.